For some, writing seems like a clever way teachers can torture students without the ruler. For others, like those at Western New York Young Writer’s Studio, writing is a joy. Anna is a member of the Young Writer’s Studio, which encourages the love of writing whether it is centered on poems, articles, short stories or novels. It is a space not for grading and criticizing, but for freedom and improvement. Since the studio found a permanent home on Delaware Avenue in Kenmore, more opportunities have become available. Among these opportunities are author visits. K.W. Wilson, a children’s author, recently visited the elementary session at the studio. Last month, Kate Karyus Quinn, a Young Adult author published with HarperTeen, spoke to members of the secondary session. Quinn grew up in Western New York, attending Sweet Home High School and then Niagara University. She made her decision to be a writer in second grade, and falling in love with theater only enhanced her writing abilities. Theater taught not only character motivations but also how to handle rejection, she said. Quinn attended film school in California, but after having two children, found herself back in Buffalo. Staying motivated can be a hard task for teen writers as well. Countless beginnings are never concluded. Many ideas are never even put to paper. For some, it’s a fear of copying someone else’s work. Borrowing ideas and style from other writers is one stage of the journey in developing writing skills. It can be a daunting prospect to come up with ideas that are 100 percent original. Many teen writers publish something called fanfiction – a new genre that is written by fans of a book, movie or some other media and features characters and places from that media. More and more, teens are publishing online, and the majority of it is fanfiction. A popular website for reading stories and books – both fanfiction and “originals” – is a site called Wattpad.com. Wattpad, though not strictly for teens, has an age requirement of 13, and according to the website has more than 10 million stories and millions of users. Many writers are thriving online. Others still want the more tangible hardcover or paperback to hold in their hands and say: “Look, I wrote that!” Young writers are being published all the time in magazines, newspapers and anthologies. The Young Writer’s Studio welcomes writing of all kinds, and encourages writers to pursue whatever it is they wish for. For many, though, publishing a book can seem like a dream. “I think everybody wants to publish but they don’t think they’re good enough,” Miranda said. Visiting authors give advice and testimony. Quinn told studio members about her publishing journey and also gave advice for getting through the process. It wasn’t until her third full book, “Another Little Piece,” that Quinn became published. It took two years to go through the publishing process. Many authors have been published at a young age, and not just online. Beth Reekles, a 17-year-old Welsh girl, published an award-winning book on Wattpad and received a three-book deal with Random House. 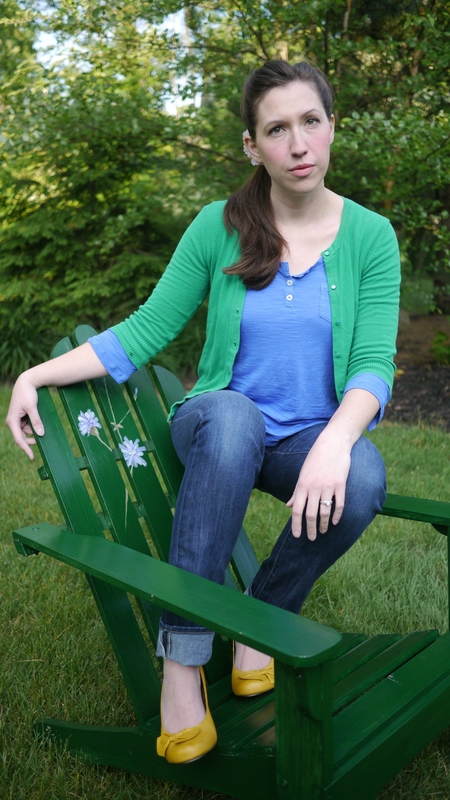 British author Samantha Shannon, 22, published her debut novel, “The Bone Season,” in August. Christopher Paolini wrote the first draft of the best-selling fantasy “Eragon” at age 15. Melanie Izard is a junior at Sweet Home High School.